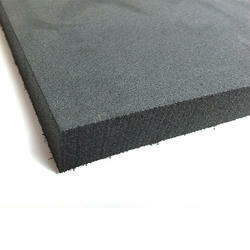 Our product range includes a wide range of industrial table foam and silicon foam for vacuum table. We offer our clients an optimum quality range of Industrial table foam. The offered sheet is precisely manufactured using best quality WPC and advanced technology. The provided sheet is widely used by our clients in outdoor decks, fences, railing and window frames. Furthermore, to ensure the optimum quality, the provided sheet is rigorously tested by our quality controllers on different quality parameters. Our in-depth knowledge and industrial expertise enable us to offer a distinguished range of Vacuum Foam Table. We manufacture these foams by making use of superior quality raw materials and high-end technology so as to maintain the set industry standards. To make a flawless dispatch from our end, our offered range is rigorously inspected by our quality inspectors against various parameters. These products are broadly acknowledged by our clients for their easy installation and sturdiness.